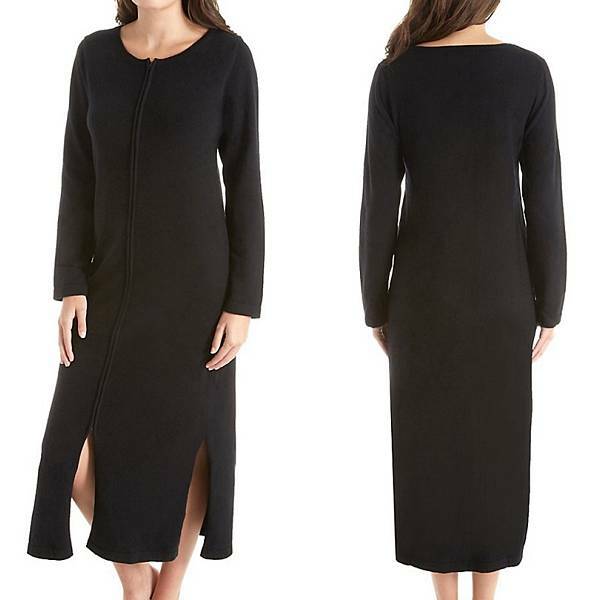 Cashmere Robe - When it comes to the softest womens robes, wrapping yourself in cashmere is the ultimate extravagance for any woman. But if these luxury robes are a tad too indulgent for your budget, you needn’t worry. We’re sharing the inside secrets on how to find one of these sumptuous robes at an affordable price, so you can make it part of your sleepwear collection without compromising your savings. Follow along for these wallet friendly tips and tricks. Shop sales - Of course seeking out sales is a way to save on cashmere robes, but it’s the really big sales of the year that will get you the deep discounts you want. Stores often have major blowouts after Christmas, at the end of the winter season in February, and at the end of summer in August. If there’s a cashmere robe that you’re after, resist the temptation of instant gratification and wait until the biggest sales to scoop it up. Know your cashmere - Not all cashmere is created equal. Educate yourself on the various types of cashmere so you can seek out the more affordable types. For example, three-ply cashmere is more expensive than two-ply, as it’s thicker and plusher. But, even the lower ply knits can be just as cozy and luxe, so look for these thinner styles for a budget friendly alternative to thicker weights. 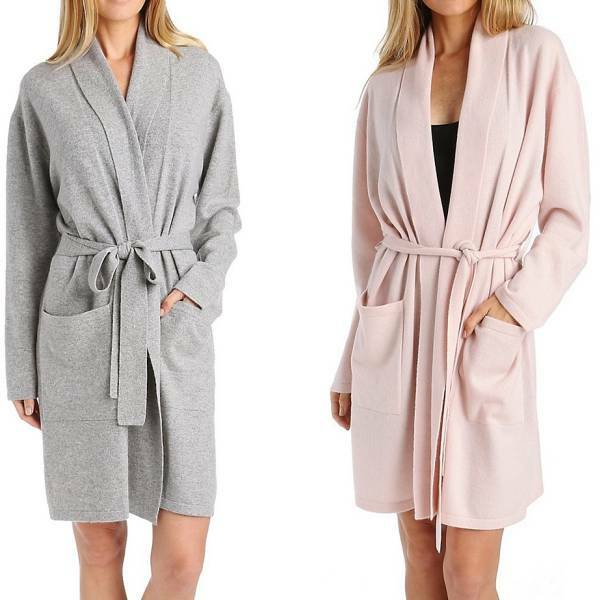 More expensive than popular satin robes and silk robes, you can expect to pay from several hundred to several thousand dollars for a top-quality womens robe in cashmere. Try a blend - 100% cashmere can really set back your savings, but you can get all of the cozy softness without the hefty price tag when you buy a cashmere blend. Look for cashmere blended with other types of wool like merino, or cashmere blended with cotton, modal, viscose, angora, or acrylic. You wont even notice the difference once you’re wrapped up in your sumptuous, cozy robe that feels like the ultimate indulgence, even when you scored it at a fraction of the cost. Go short - A long, floor sweeping style will be more expensive than a short cashmere robe, simply because it uses more fabric and costs more for the designer to produce. Try a short, kimono style, or even a cashmere wrap top as a way to snuggle into luxe softness without overspending. Become a VIP - Most retailers offer exclusive sales and deals for their VIP members, email subscribers, or Facebook followers. Sign up for your favorite sleepwear store’s mailing lists and watch your inbox for special deals, advanced sales, and discounts that are only available to members. Sunlight can fade cashmere garments; they should be stored in a cool, dark, dry place. Since wool is appetizing to moths, consider storing the robe in a cedar chest, or placing a cedar sachet nearby. Scattering cloves or a few mothballs nearby will also help. Care for it at home - Embrace the DIY spirit when it comes to caring for your cashmere robe and you’ll save big on dry cleaning bills. All you need is a mild detergent and a little time. Hand wash your robe in luke warm water with a very mild detergent or baby shampoo. Gently squeeze out excess water, and lay it flat to dry between 2 towels. Once it’s completely dry you can gently reshape it. With a little TLC at home you can skip the dry cleaners and their hefty prices for cleaning your cashmere. After your robe is clean, store it properly by hanging it on a padded hanger, or fold and store in a drawer. Avoid exposing your robe to deodorants, makeup, hairspray, perfumes, or other harsh chemicals that can cause permanent damage. These few extra steps not only save on cleaning costs but will make your robe last longer so your investment becomes even more savvy.